The Mars '96 Mission was initially funded as Mars '92 than Mars '94 by the Soviet Union, before the union ended in 1991. The Mars 96 spacecraft was built around the PHOBOS-type spacecraft structure. 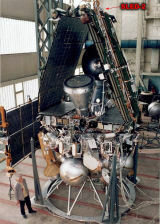 The Russian Mars 96 mission was designed to send an orbiter, two small autonomous stations, and two surface penetrators to Mars to investigate the evolution and contemporary physics of the planet by studying the physical and chemical processes which took place in the past and which currently take place. The Mars 96 Orbiter was a 3-axis sun/star stabilized craft design with two platforms for pointing and stabilizing instruments. The propulsion units were mounted on the bottom and two large solar panels extended out from opposite sides of the craft. 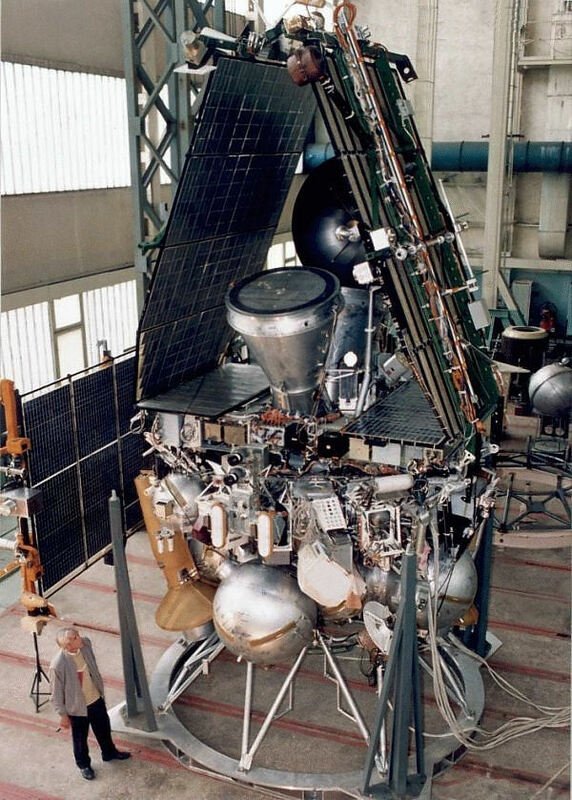 The two penetrators were mounted on the bottom by the propulsion system, the two small stations were connected on top of the spacecraft, and a dish antenna extended off one of the sides perpendicular to the solar panels. The Mars 96 spacecraft had a launch mass (including propellant) of 6180 kg. The Mars 96 Orbiter carried 12 instruments to study the surface and atmosphere of Mars, 7 instruments to study plasma, fields, and particles, and 3 instruments for astrophysical studies. There were also radio science, a navigation TV camera, and a radiation and dosimetry control complex. The instruments were located directly on the sides of the craft, on one of the two platforms attached to the sides of the craft, or on the edges of the solar panels. Our human resources had been participating in completing three different experiments to study the plasma and magnetic fields. They had developed some onboard software and the EGSEs. The first equipment (MAREMF) would have studied the distribution of electrons around Mars, the magnetic field of Mars and the interaction between the electrons and the magnetic field. The MARIPROB experiment would have examined the parameters of ionosphere of the planet while the third experiment (SLED-2) the high-energy particles of the environment of Mars. The Mars 96 spacecraft was launched into Earth orbit but failed to achieve insertion into Mars cruise trajectory and re-entered the Earth’s atmosphere on 17 November 1996 and crashed within a presumed 320 km by 80 km area which includes parts of the Pacific Ocean Chile, and Bolivia. The cause of the crash is not known.